Its not every day you get to drink coffee with the Angels. But these are no ordinary angels; these are Newbeans coffee trained Angels! 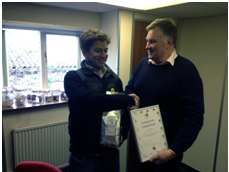 Xavier Ballester from the Angel Investment Network , one of the world’s largest , is now a trained Newbeans CTAPS blender. Creating a superb coffee blend for his other half – Xavier was one of many companies and people that are looking to be a bit more discerning about what goes in the cup of java. More and more coffee drinkers and companies are looking for more transparency in their products and are moving away from mainstream coffee brands in favour of more customizable products with the ability to make choices. 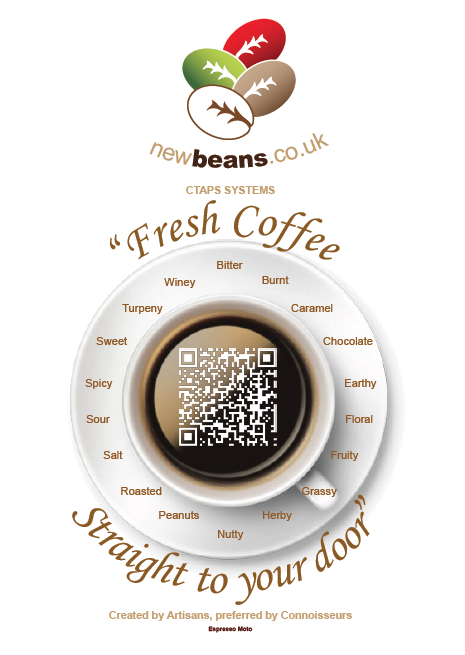 Newbeans coffee is the creator of the CTAPS system, a volumised fresh coffee blending service that allows you to select the different types of beans to create your own coffee blend, and then have the blend distributed almost any way you want. developed the system along with leading industry production houses and world class coffee blenders. The service allows coffee to be blended fresh and posted within 24 hours, as well as the product to be distributed anywhere in the world with a customised brand or label. The Supply chain was developed to enable the growing number of coffee sellers, re-sellers, and coffee drinkers to take advantage of the growing movement for more customisable products and also as to enable new entrants to the coffee market create their own bespoke offering. This entry was posted in Case Studies, Coffee Info, Testimonials and tagged 250 gram bags, angel investment network, Barista Training, BIGONIT, Case Study, coffee, coffee group, Coffee roasting School, Equity Investment, IDC, Ikg Bags, investment network, Investors, Lending, Newbeans, Nivo group Approverd coffee Supplier, To Quality Coffee, vegetarian. Bookmark the permalink.